Ricky Gervais has found himself, or put himself, in the news again talking about snowflakes and people getting easily offended. While I agree with him about people being a little too quick to jump the gun on what they think is offensive nowadays, he has been spouting the same stuff for well over a decade now. However, it is always good publicity when a new show comes out. Today I’ll be going over his new show After Life and the indie comedy Paddleton that he is not affiliated with. 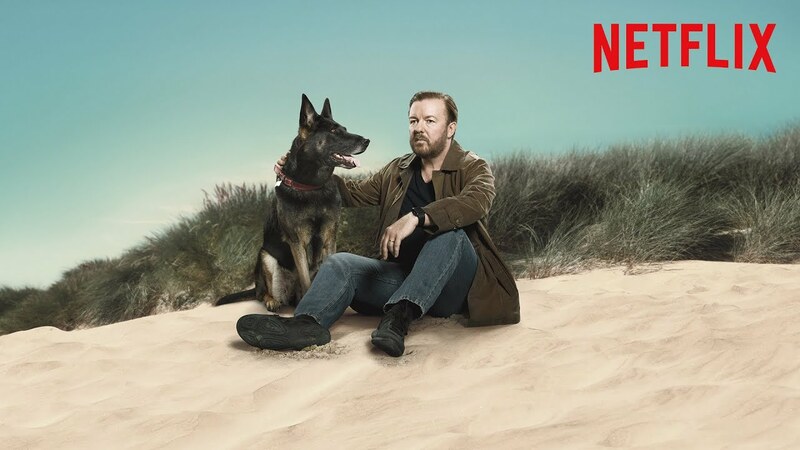 Gervais plays Tony, a miserable, suicidal man mourning the death of his wife. He has a penchant to say horrible things that pop into his head because, as he sees it, he’s going to be shaking off his mortal coil soon. He works at the local free paper and is nasty to his boss who happens to be his brother in law, and everyone else who crosses his path. I liked the show. I enjoy Gervais, especially as David Brent and in his animated show from a few years ago with Stephen Merchant and Karl Pilkington. I appreciate that he is not everybody’s patronising cup of tea. He doesn’t do himself any favours with his constant harping on about offensive material, although i do agree, and the amount of fat jokes aren’t helping him with anyone. All in all though, I’d recommend this show and would urge people to leave their sensitivity at the door. It is a tad bit predictable but that last episode is worth it. It’s not for everyone, but the sweet moments are tearfully emotional and the jokes are barbwire sharp. 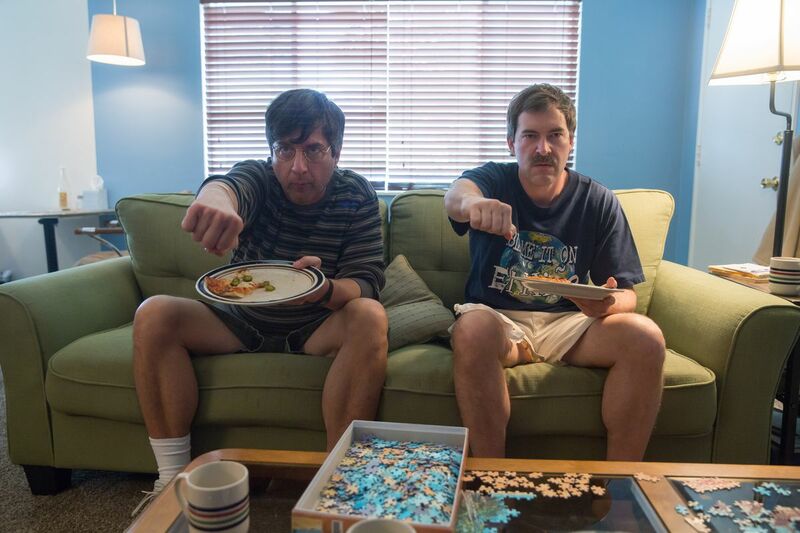 This indie buddy-comedy starring Ray Romano and Mark Duplass is another one that hits in the feels. Romano and Duplass are Andy and Michael, two socially awkward neighbours turned best friends. They hang out every night, watch Kung Fu movies, eat pizza and play a made up game derived from squash called Paddleton. Michael is diagnosed with an incurable form of cancer, sending the two on a roadtrip for a special kind of medication which lands the two in an emotional, funny and charming look into friendship and love. As everybody knows I enjoy almost everything I watch. This was no different, although I wouldn’t say I was hooked. It is very slow and the hijinks the guys get up to on their trip are marred by their ineptitude at talking to women and people in general. There are some poignant moments that are totes, dare I say, emosh, but I’d give it a skip. You won’t miss out if you miss this one. I’ll be back Sunday with a Paddy’s Day post and/or Monday with more reviews/news and sports. Previous Post Netflix Selection: Umbrella Academy and Russian Doll.